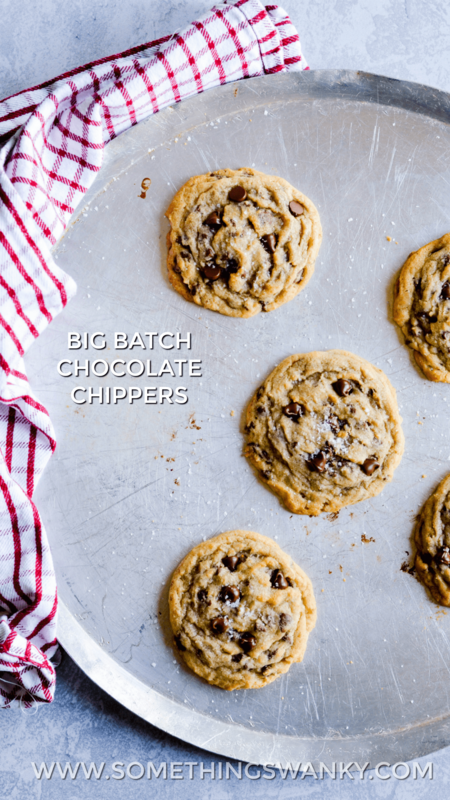 This Big Batch Chocolate Chippers recipe makes either 4 dozen BIG cookies (1/4 cup of dough per cookie) or 8 dozen standard size cookies (2 tbsp dough per cookie). Maybe you need to make a huge batch of cookies for a potluck or a bake sale or a birthday party. Or maybe you want to bake a couple dozen today and freeze the rest to bake on an as-need basis. Perhaps you’re making a tiered cookie cake a need a lot of dough. Who knows?!? 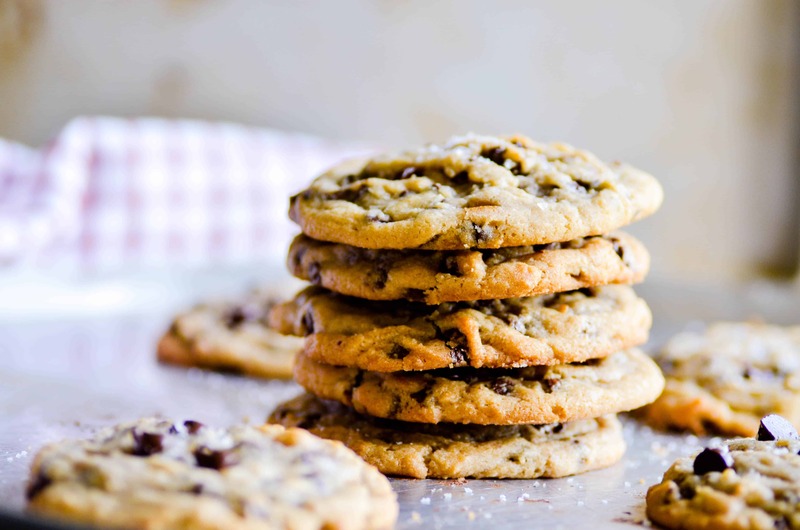 All I know is that I can think of about a hundred reasons why a person might need a recipe that makes a gazillion chocolate chip cookies in one batch ????. A friend gave me this recipe a couple of weeks ago and told me that it’s her Aunt’s famous recipe for chocolate chip cookies. 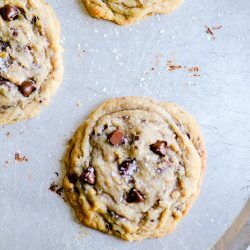 I tweaked it ever so slightly, and as of right now– this is my absolute favorite chocolate chip cookie recipe. 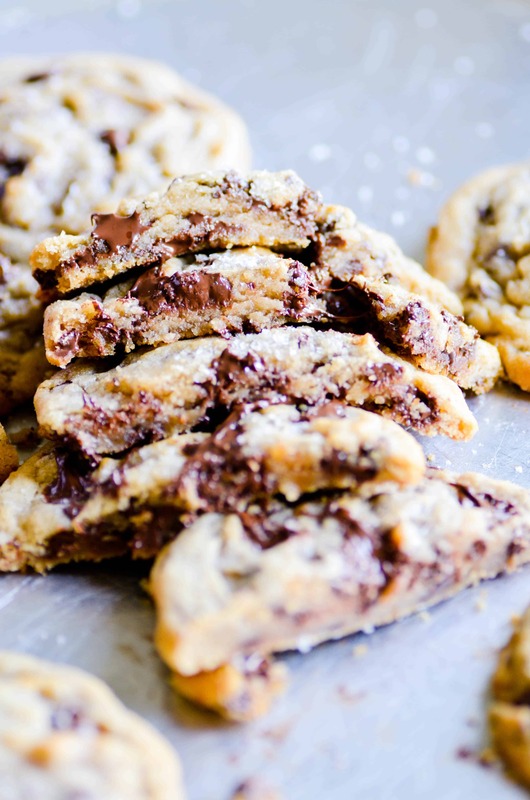 Golden edges, chewy centers, and just the right amount of chocolate chips (the right amount = A LOT, in case you were wondering). 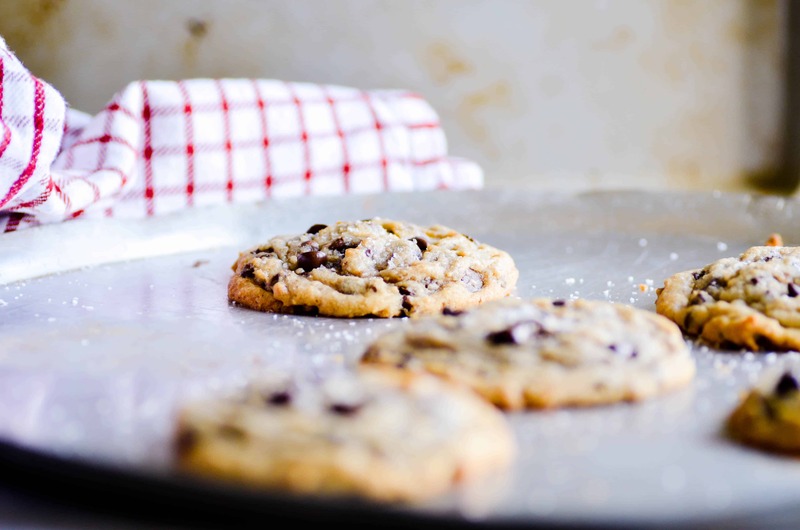 BE SURE TO CHECK OUT MY FAVE CHOCOLATE CHIP COOKIE RECIPES ON FACEBOOK! Add vanilla and eggs and mix well. Add the baking soda water. 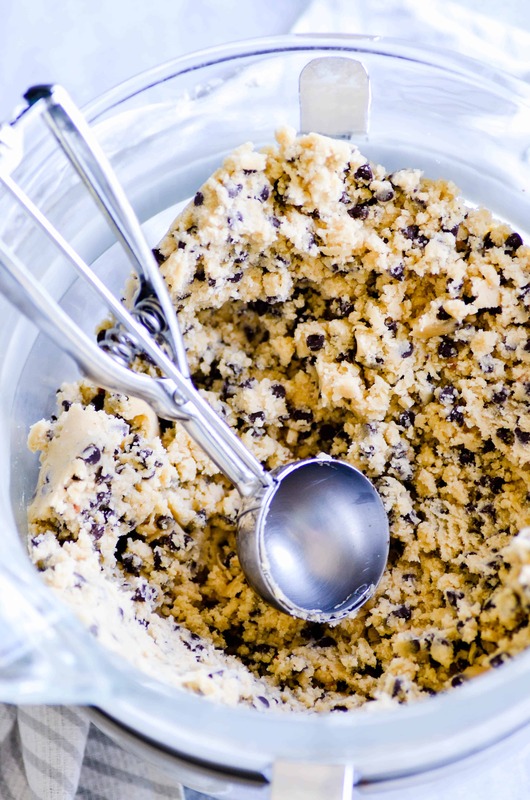 Combine remaining dry ingredients together and gradually add to creamed mixture. Scoop dough onto ungreased cookie sheets, about 2" apart. Bake for 10 to 12 minutes, until edges are slightly golden. Let cool on the pan for a minute or two before transferring to a wire rack. 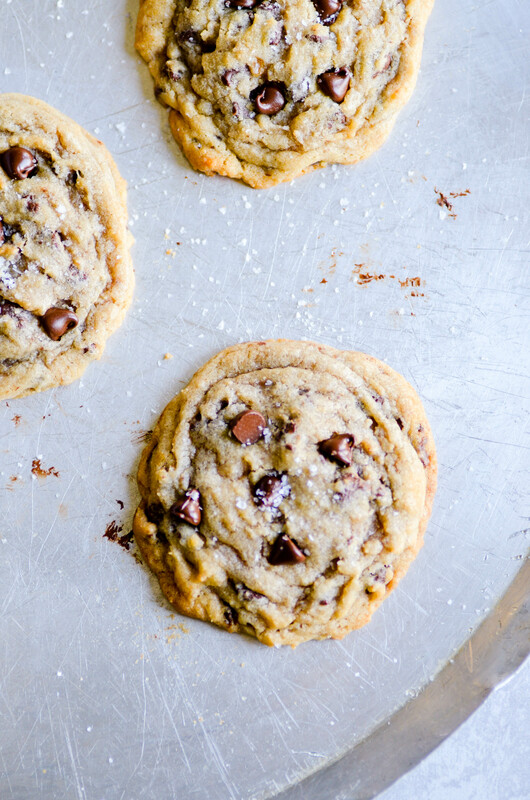 Looking for MORE Chocolate Chip Cookies?